Some items marked down in liquidation sales at some Bob's Stores closing in Connecticut aren't as low as prices found online or elsewhere. As Bob's Stores begins to liquidate some of its shops, experts and customers find store-closing sales don’t always equate to savings. Nine Bob’s Stores in Connecticut will soon close their doors for good, a result from a February bankruptcy filing. April Holt thought she’d find a bargain at Manchester’s closing Bob’s Store on Memorial Day Weekend. But one item on her $531 receipt had her taking a closer look. Her husband needed a pair of waders for work, which Bob’s marketed as 40 percent off of $49.99. A good deal, Holt thought, until her husband peeled back the sticker. Underneath the $49.99 price tag was one for $29.99, which was exactly how much Bob’s charged her for the so-called liquidation sale price. “I mean it took a minute to say, ‘What is that? What just happened? Did we get ripped off?,” said Holt. She did some price comparison at the Bob’s Stores location in Enfield, which is not liquidating. There, she found the same pair of waders on sale for just $25, $5 less than what she paid on liquidation. 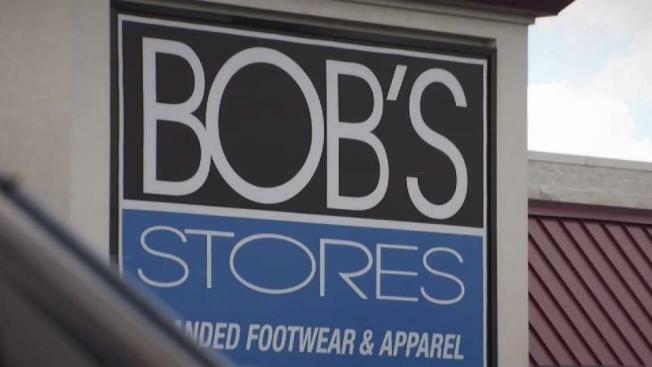 Manchester’s Bob’s Store does have a few good deals on liquidation, mostly shoes marked 40 percent off of similar prices advertised online. However, it also has several lackluster deals. A pair of Carhartt overalls at Bob’s comes in at 40 percent off of $89.99. The same pair of overalls is advertised online through a different retailer for just under $48. The story is the same for a Nautica polo shirt. It’s marketed as 40 percent off of $59.50 at Bob’s, which is about $38. Online, it’s on sale for just under $24, plus possible shipping. This trend happens industry-wide, according to Patten, both at brick-and-mortar stores and online. So, she said, customers can’t always believe a sale when they see it. NBC Connecticut requested a comment from Bob’s Stores on the findings and will update this if the company responds. Manchester’s Bob’s Stores location will close its doors for good on Wednesday, June 28.